This ready made figure competition suit is in stock and ready to ship once we have completed our final quality checks. The expected delivery is 18 days with our free shipping option, or within 10 days with our DHL upgrade. 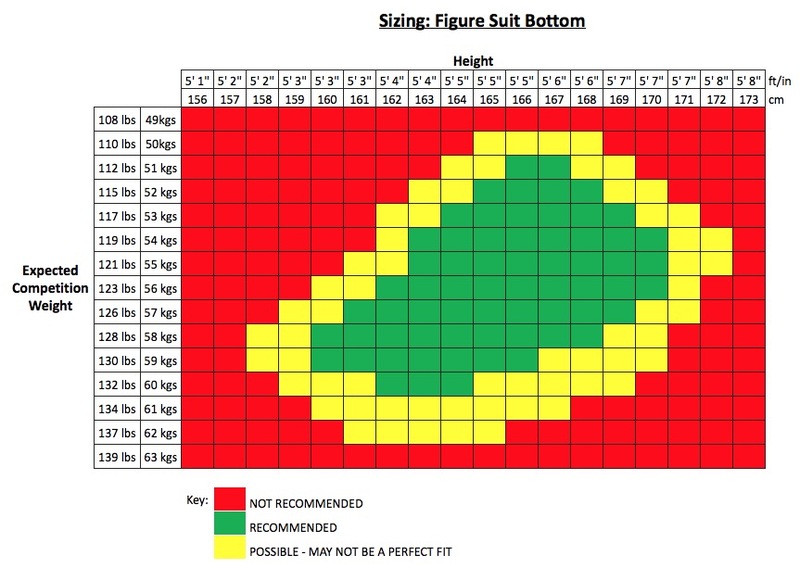 The suit bottoms are suitable for someone between 160-170cm (5' 3" - 5' 7") depending on weight - please see Sizing Chart below for more detail. 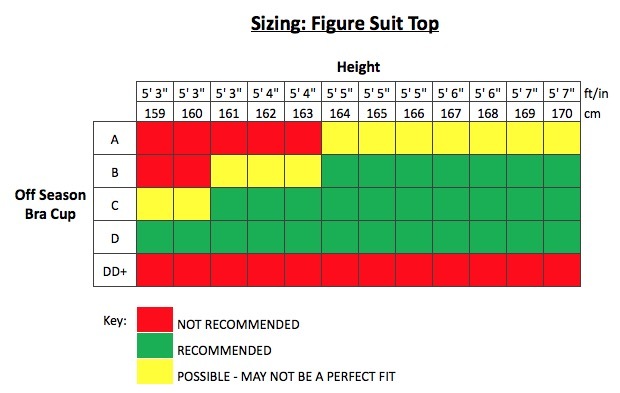 The suit top is generally suitable for the following bust sizes: B Cup - with padding (provided); C Cup - with light padding (provided); or D Cup - without padding. Please see sizing Chart for more detail. Dimensions of the suit top are shown in one of the photos. Please note this suit is sold 'as is' with no alterations to be made. Please read the description carefully to avoid sizing issues. Any questions? Message us on our Contact Us page or facebook.com/MuscleDazzle. We're always happy to chat!